If you keep up with such things, you may know that actor James Franco, in addition to starring in movies, including "127 Hours" and "Howl," writing a book of short stories ("Palo Alto") and preparing to co-host the Oscars, is a graduate student. In six programs. Really. Why would a New York-to-LA guy like Franco choose a small MFA program in the N.C. mountains? Probably because it's so good. When Poets & Writers Magazine recently rated MFA programs, Warren Wilson ranked No. 1, tying with Vermont College of Fine Arts, among 46 low-residency programs.Folks at Warren Wilson try to keep quiet about their famous student. Deb Allbery, MFA program director, would only tell me that Franco enrolled in 2009 and is on track to graduate in 2012. He'll likely return to Warren Wilson for a 10-day session in January. How does he do it all? Writer Sam Anderson explored that question recently in New York magazine: "According to everyone I spoke with, Franco has an unusually high metabolism for productivity. He seems to suffer, or to benefit, from the opposite of ADHD: a superhuman ability to focus that allows him to shuttle quickly between projects and to read happily in the midst of chaos. "He hates wasting time -- a category that includes, for him, sleeping. (He'll get a few hours a night, then survive on catnaps, which he can fall into at any second, sometimes even in the middle of a conversation.) He doesn't drink or smoke or -- despite his convincing performance in 'Pineapple Express' -- do drugs. He's engineered his life so he can spend all his time either making or learning about art. When I asked people if Franco actually does all of his own homework, some of them literally laughed right out loud at me, because apparently homework is all James Franco ever really wants to do." Pat Conroy will sign copies of his new memoir, "My Reading Life," 5 p.m. Monday, Nov. 29, at Park Road Books, 4139 Park Road. Conroy, whose best sellers include "The Prince of Tides," "The Lords of Discipline and "The Lords of Discipline," writes in his newest work about the books and book people who have shaped is life. Publisher's restrictions apply at this signing: You must buy a copy at Park Road Books. Details: 704-525-9239. Olympic speed-skating great Apolo Anton Ohno will sign copies of his new biography, "Zero Regrets," 6 p.m. Wednesday, Nov. 10, Park Road Books, 4139 Park Road. Ohno was originally scheduled to be at Joseph-Beth Booksellers. But last week, Joseph-Beth announced it's closing. So it has transferred scheduled readings to Park Road Books. Also moving from Joseph-Beth to Park Road is a signing with former Gov. Jim Hunt and Gary Pearce, author of "Jim Hunt: A Biography." They'll be there 7 p.m. Nov. 15. At both events, you must buy the book at Park Road Books, unless you already bought it at Joseph-Beth. As a sales and marketing guy in Charlotte's hospitality industry, Greg Greenwalt often needed gifts for VIP clients and visiting dignitaries. What would be perfect, he thought, would be a book showcasing current images of Charlotte and the surrounding area. When he couldn't find one, he decided to write it himself. The result? "Destination Charlotte" (Lorimer Press; $29.95), by Greenwalt, with photos by Paul Purser. The book includes snippets of history, both long-ago and recent. But what you'll notice most are the striking color photographs. Lorimer Press launches the book 5:30-7:30 p.m. Thursday, Nov. 4, at Doubletree Guest Suites SouthPark, 6300 Morrison Blvd. Why am I writing about Christmas TV shows? Because there's a book involved, that's why. 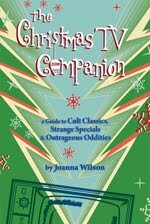 Joanna Wilson, author of "The Christmas TV Companion" and "Tis the Season TV" will be in Charlotte Saturday, Nov. 6, to give us the scoop on Christmas TV programs that range from beloved to creepy. She's speaking at Park Road Books, 4139 Park Road, at 2 p.m.
Wilson, who lives in Ohio, actually started this project when she lived in Charlotte about a decade ago. Since then, she's probably watched more cheesy Christmas shows than anyone on the planet. I write about books, not food. But I’d be remiss if I didn’t tell you that the Levine Museum of the New South’s “New South for the New Southerner” program on Monday, Nov. 8, involves both a book and Dan Huntley’s unforgettable barbecue. 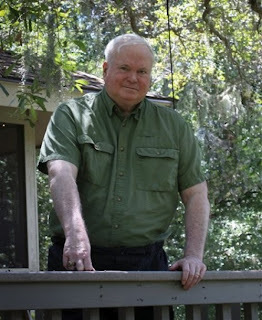 Speakers include Huntley, co-author of “Extreme Barbecue,” Observer Food Editor Kathleen Purvis and Fred Sauceman, editor of “Cornbread Nation 5: The Best of Southern Food Writing.” Pieces by Purvis and Huntley are featured in that collection. The event, 7 p.m. in the Lilly Family Gallery of Davidson College’s Chambers Building, is $8 for the public, $4 for members of the Levine Museum and Davidson Friends of the Arts. It includes a reception with the aforementioned barbecue. RSVP: 704-333-1887 ext. 501 or rsvp@museumofthenewsouth.org. Have you lived here long enough to remember The Charlotte News? A quarter century ago today, Charlotte's afternoon daily published for the last time. For years, the News, a great, feisty publication, was the Carolinas' largest afternoon paper. The News holds a special place in my heart: It was where I got my start as a journalist. I'd forgotten that 25 years had passed since its demise until I recently stumbled on the story now-retired News and Charlotte Observer writer John Vaughan wrote that last day, Nov. 1, 1985 . His first paragraph follows. Does it remind you of anything? The Charlotte News, once the largest afternoon daily in the Carolinas and for many decades one of the South's best newspapers, ceases publication with this edition. A victim of social changes and economic forces beyond the control of its publishers and marketing strategists, The News passed into history shortly after 2 p.m. today, after almost 97 years, with a final press run of 67,003 copies. It was the largest press run in a decade or more, but 18,000 of those copies will go to souvenir collectors and former employees, not to subscribers. At its death The News had a circulation of only 34,700 -- half that of its peak period in 1972. The News was loved, but it wasn't loved by enough people to survive.